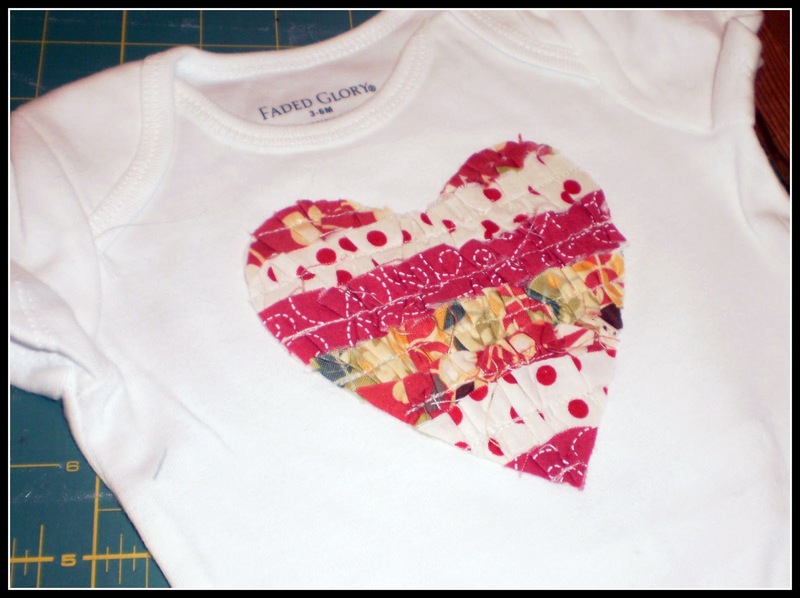 Crafty Girls Workshop...: Project Gone Wrong! 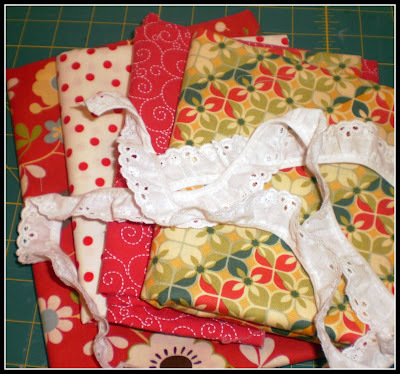 I picked out the fabrics I wanted to use. I cut the fabric into three quarter inch stripes. Yes, I know, I should have stopped here. This looks like a hot mess! Actually, I thought that after trimming the edges and placing the heart to the onsie that the project could be salvaged. NO WAY! Embroidery gone bad! YUCK YUCK YUCK! I had such high hopes for this idea that was in my head....I think I am going to go to bed. I was so frustrated that my idea didn't work out, that I knew what I had to do. 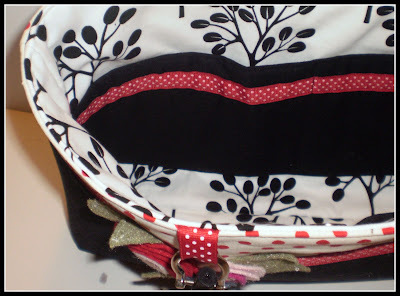 I needed to sew a bag! Because of the frustration level...I was not planning on blogging the bag I made tonight, so I didn't take any picture of making the bag. But, after I was done with the bag, I wished I would have taken pictures to show you, because I LOVE IT! If you are a red/black and white fan, you will love this bag! 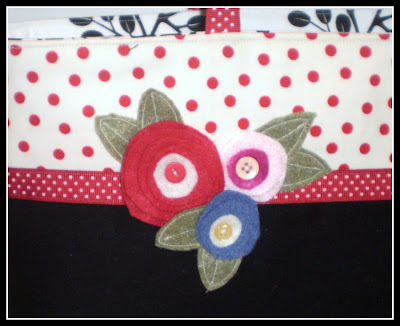 I added some felt flowers to the front of the bag for some whimsy. I love the contrast of the fabrics! There are four big pockets! I think this would make a great bag for church, work or even a knitting bag. The bag measures approximate 12.5 inches wide, 10 inches tall and three inches deep. 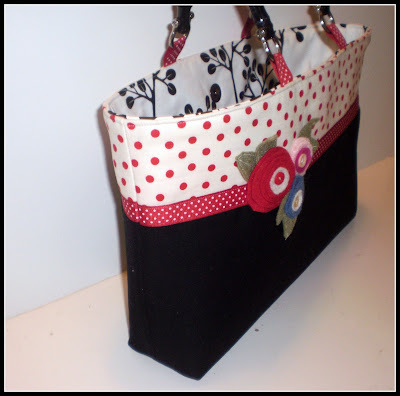 Perfect size for a few books, crafts or binders. The back of the bag is cute too! Ok, now I can go to bed calm! Such a lovely bag, the fabrics are lovely! Seriously? It's 2:00 AM and you're sewing???? Who expects a project to turn out well at that hour? LOL I LOVE THE BAG! 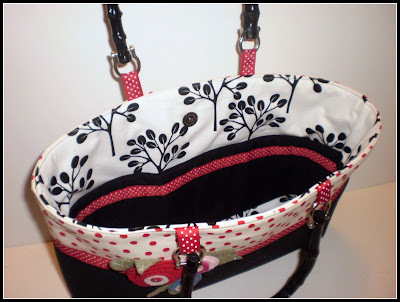 Where did you get the pattern or how to for that cute bag? Oh I've had my fair share of "hot messes" in the sewing room too! 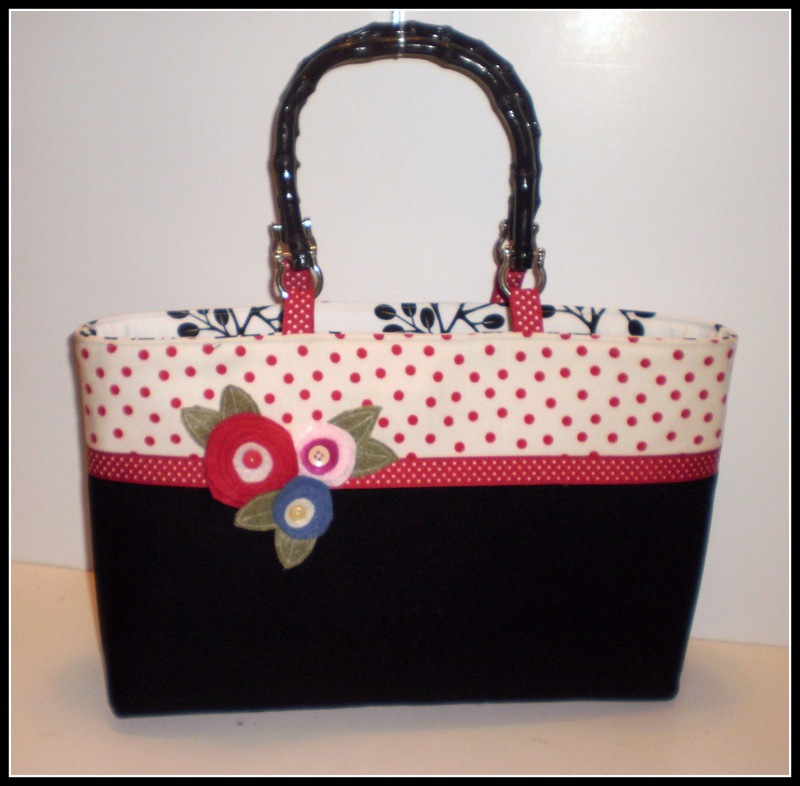 Love the bag you made- it turned out beautifully! Really cute! love this bag! Oh, thank you Kelly, you are too sweet! Hello! This is again fabulous bag! Really beautiful! Love the onsie and the bag! Oh the bag is adorable. 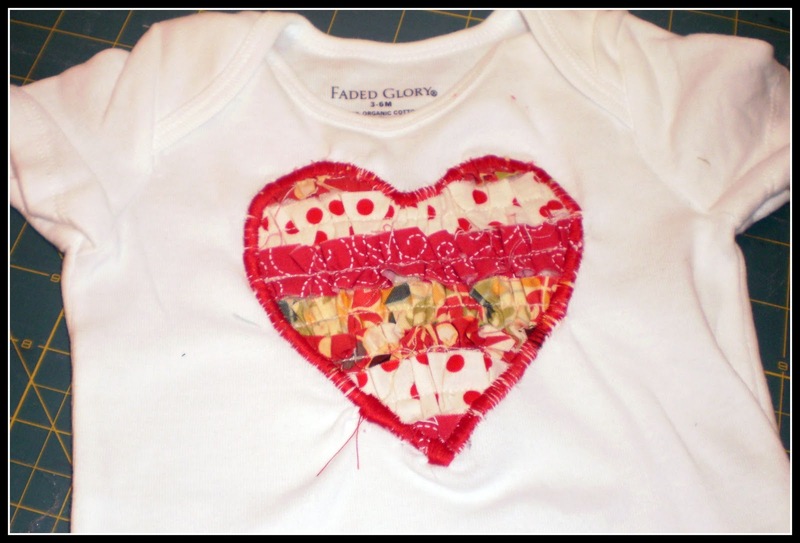 To save your heart you can take it off the shirt and add it under the onsie and cut it out,like 3D, did that make sense? Hopefully good luck! You definitely redeemed yourself with the bag! So cute! Oh, but that bag is WOW!! The bag is beautiful!! I thought the onesie worked, too, though! It's adorable! Gorgeous bag, such a great size and shape! I love this bag. I was looking on your esty store and didn't see it. Is it already sold? If not I would love to get that bag. And a plus no shipping, I can walk right down and pick it up. 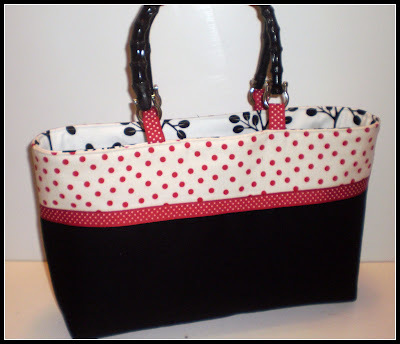 This bag is so feminine and adorable! 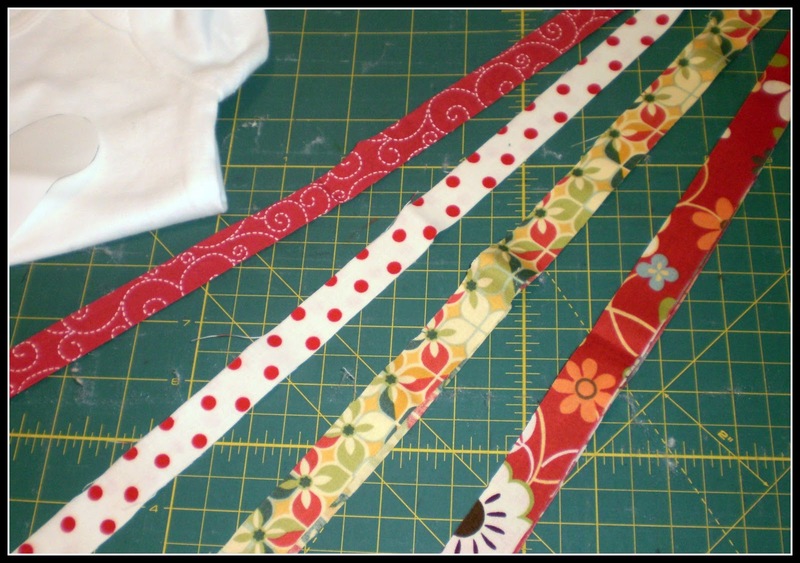 I love the combination of fabrics and color you used! Love the flowers!! ;) And I love the ruffled heart! How can we add one to the bottom of a pair of pants for Ainslee???! Muy lindo... yo siempre estoy necesitando un bolso para los libros... ojalá puedas subir los patrones. 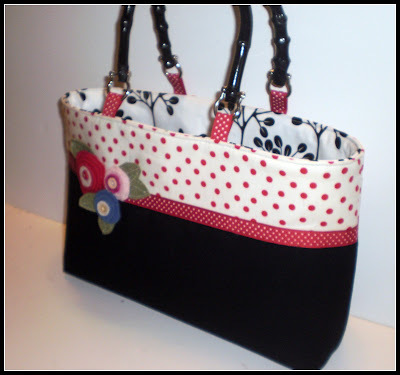 What a darling bag!! 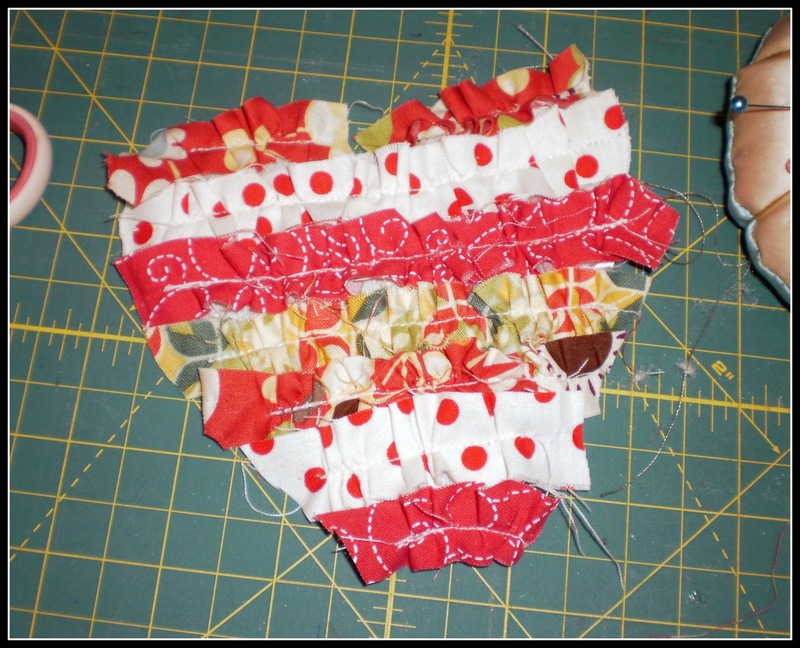 Thanks for showing your blooper heart project- I have lots of those oops projects at times! It is nice to know that someone as talented as you still has craft mishaps! Thank you for linking up to Fantastic Friday. Love that handbag.... So happy! Super Easy Rolled Fabric Flower!